The common occurrence of the spread of infection in a nursing facility can result in dire consequences when residents suffer infectious disease outbreaks that are often unrecognized until it is too late. Not only are resident’s susceptible to infection by sharing sources of food, water, air and health care, especially in crowded facilities, but also staff members, visitors, and employees. In fact, the elder abuse attorneys at Rosenfeld Injury Lawyers LLC have represented many nursing home victims who have suffered harm through the spread of infection. While every human being is susceptible to infection such as influenza or UTIs (urinary tract infections), individuals 65 years and older are highly vulnerable. Often times, their cases of infection are more challenging to diagnose. However, without proper treatment, the elderly can suffer chronic poor health, ongoing discomfort and a higher potential of being hospitalized to fully recover, when possible. The spread of infection often occurs through a lack of training, overcrowded conditions and failing to follow established protocols to minimize the potential harm to other residents. Without proper precautions, the elderly can suffer serious skin infections, urinary tract infections, MRSA (Methicillin -Resistant Staphylococcus Aureus) and C. diff (Clostridium difficile). Throughout the year, federal agencies including Medicare.gov routinely update their nursing home comparison database in an effort to provide valuable information for families needing to place a loved one in a nursing facility. Currently, East Bank Center maintains a five out of five available star rating compared to other facilities nationwide. This includes four out of five stars for health inspections. However, our Loves Park nursing home neglect attorneys have found numerous safety concerns and health violations at the facility. Two of these include deficient practices of the nursing staff that violate procedures and protocols that could harm every resident through the spread of infection. If you, or your loved one, have suffered any type of mistreatment, abuse, neglect harm or injury while residing at East Bank Center or any other nursing facility in Illinois, Rosenfeld Injury Lawyers LLC can provide immediate help. Our team of dedicated Winnebago County elder abuse attorneys can begin the process of ensuring your loved one receives the highest quality medical care at their nursing home bedside and seek the financial compensation they deserve for their injuries. Our Loves Park nursing home neglect law firm encourages you to make contact with our offices today by calling (888) 424-5757 to schedule your free, no obligation full case evaluation. 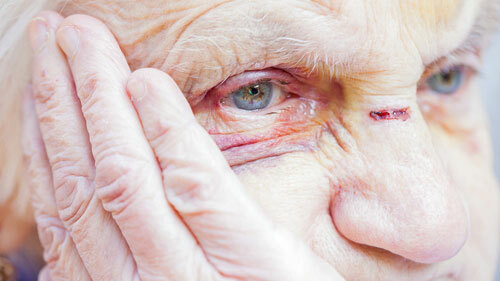 All personal injury and elder abuse cases are handled through contingency arrangements so no upfront fees are required.